I totally get the Poprad residual lust. I put the White Green Panel one I had among the coulda kept. As in previous convo on Porprads, [and there are a few fans here] I had a Canti 853 then two disc OX. Rear 130mm disc wheel stability and flex very bad. I really wanted an OX Canti. The Canti 853 as you can read about everywhere was a bit unsubstantial as far as standing on it. I found the 2000 Litespeed Classic the same, not quite as pronounced. But that was 15+ years ago when I made a lot more power and stood and honked stuff often. As I said to Dan in an eMail on the subject, I wonder if @ this age and certainly a lot less watts on average it might be OK. Both the 753 OS Custom road and the 85 SLX Nago [especially and always] seem plenty stiff to me these days. And the 72 Paramount with 531 which surprised me, but gone is that one. Felt about the same as the 753 OS. I wondered if the builder hadn't cut the tubes with longer end butts at the BB frankly. It was stiffer than any 531 bike I'd ridden. As for Poprad Lust [at least 15 year old pic]"
Seller updated the pic upon FFI on the issue. Looks like a QC issue, but it passed the final QC, the inspector with the wallet. My '79 Viner broke back there but on the chainstay, Campy long point at the joint, real simple fracture, daylight, just started riding funny one day. 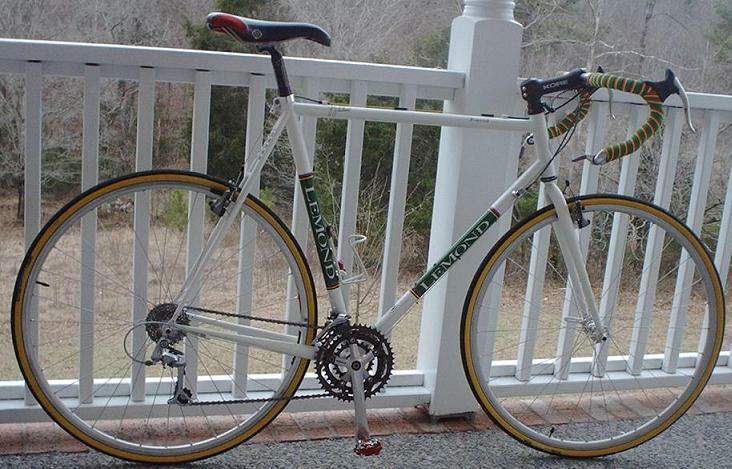 Was the White and Green LeMond 853 "butted main tubes?" That's what my '99 Zurich is (Ultegra level model that year.) The joint the Zurich is clean but clearly designed for mass-production. How slack is the Ascari? Not a paint crack in my eye. Just a gap left after presumably the dropout got brazed into seat tube. Unless not brazed? Usually the brass would flow and fill? Crimped and spot welded up the stay a little perhaps? It is obviously not moving or the a paint would have cracked from additional separation as I see it. 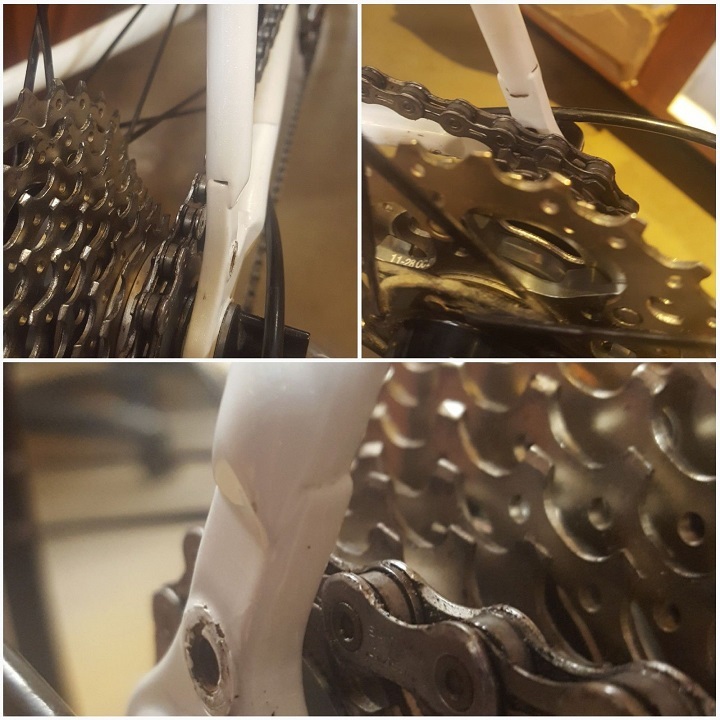 "Was the White and Green LeMond 853 "butted main tubes?" Never Built frameset Poprad/Disc. 57CM Top Tube, 130mm HT.